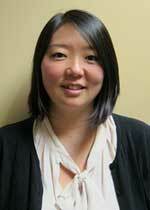 Cynthia Togawa, MD joined our practice July 1, 2014. Dr. Togawa completed her residency at SUNY Stony Brook, where she was chief resident. She is board certified in Internal Medicine and brings to our practice outstanding expertise and a passion for primary care. She is a native of California with family ties in Connecticut, and is looking forward to a long career in primary care and to raising a family here. Dr. Togawa currently lives in Cheshire with her husband and newborn son. She looks forward to raising her family in this community.